[*] How to Install: If you want to learn how to install Framaroot Application on your Android Device then see How to install Kingroot Application. 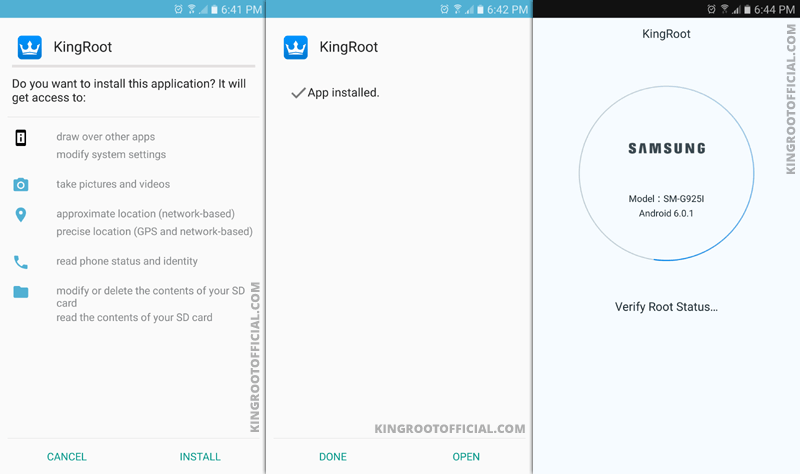 [*] How to Use: If you want to learn how to use Kingroot Application to root your Android Device then see How to Use Kingroot Application. [*] Download latest version: If you wish you can download the latest version of Kingroot Application from our Download Section. [*] Hot-linking Not Allowed: If you are willing to share the above Driver with your friends, or on any website, forums then use the page url. Dont use the direct file link, as it will be re-directed to the homepage of this website. Copyright © 2016-2019 Kingroot Official. All Rights Reserved.